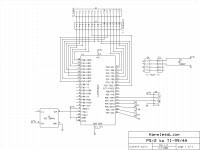 PS2 Keyboard Adapter for TI-99/4A - v.
PS/2 keyboard adapter for Atmel AVR. 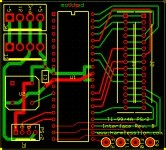 Includes schematics and PCB (ExpressPCB) as well as software for the AVR. Intended for a Mega16 but should port easily to others.